213 Soldiers who died in the First World War are buried in this cemetery, together with 35 soldiers from the Second World War. 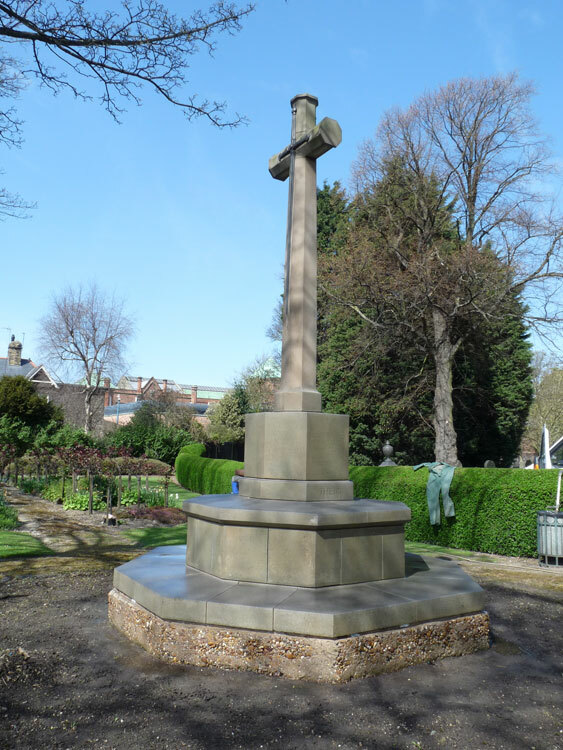 Five soldiers who served with the Yorkshire Regiment are buried in this cemetery. 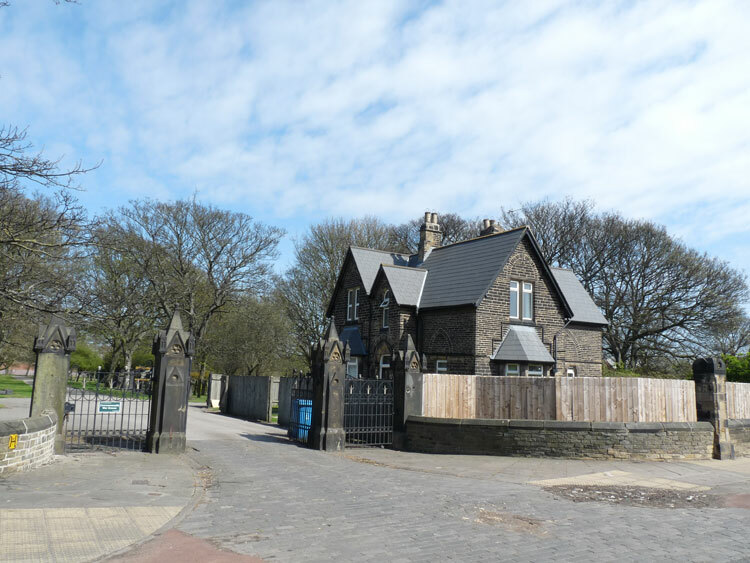 We are very grateful to Mike Berrell (<mike_berrell@ntlworld.com>) for his photographs of the cemetery and of four of the headstones, as well as to "Charlie" of the Find a Grave website for a fifth headstone. 11th Battalion Northumberland Fusiliers, formerly 24832 the Yorkshire Regiment. 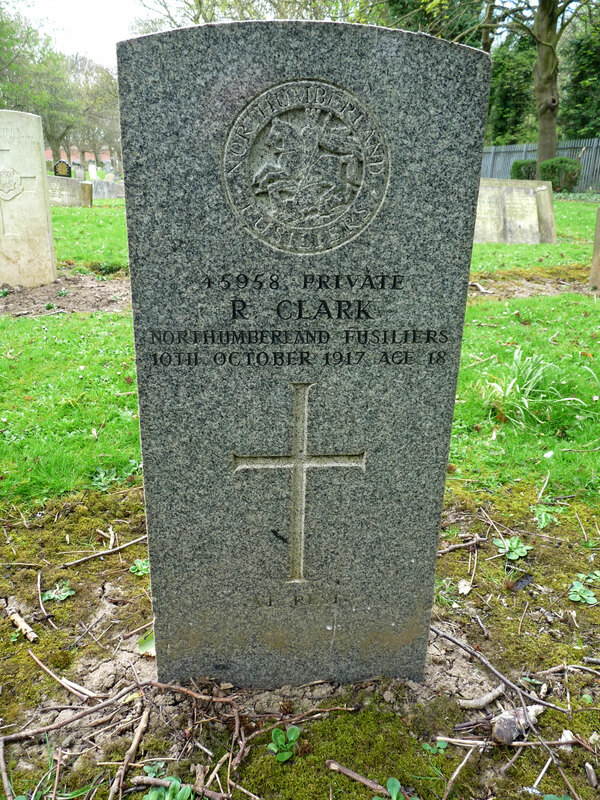 Son of Mr. and Mrs. A. E. Clark, of 1, Welton Terrace, Wassand St., Hessle Rd., Hull. Died at home 10 October 1917. Aged 18. Born Hull, Enlisted Otley (Yorks). 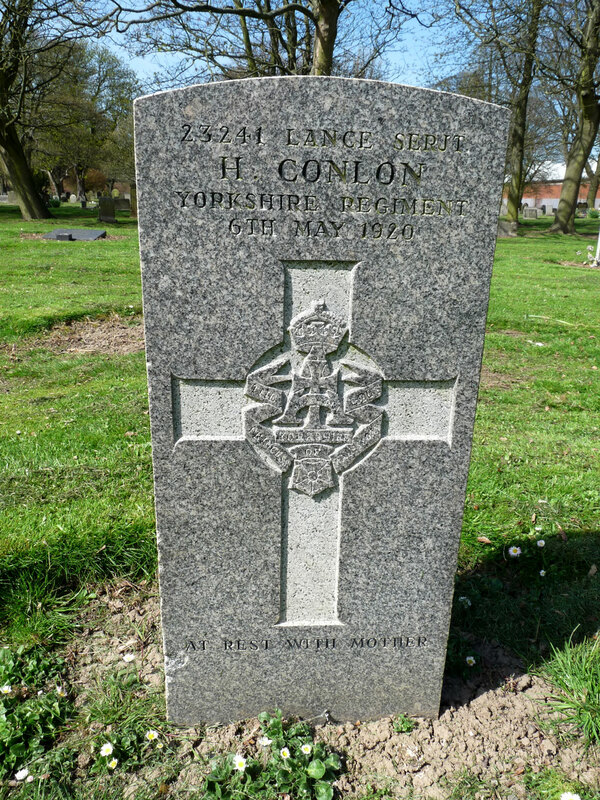 Lance Serjeant Harry Conlon. 23241. 6th Battalion the Yorkshire Regiment. 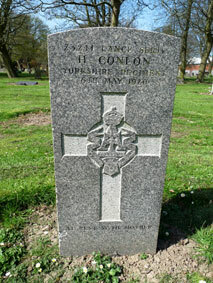 Son of James & Maria Conlon, of 95, Courtney St., Hull. Died at home 6 May 1920. Aged 21. (Additional information : Enlisted 9 August 1915. Discharged 10 May 1919 due to sickness). 21st Battalion Machine Gun Corps (Infantry), formerly 14842 the Yorkshire Regiment. 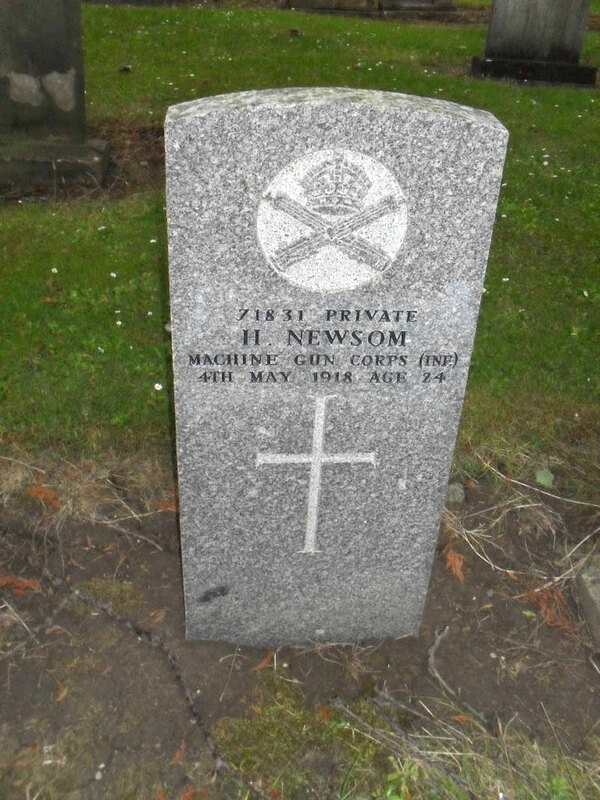 Son of Mr. G. E. and Mrs. M. J. Newsom, of 53, Pelham St., Hull. 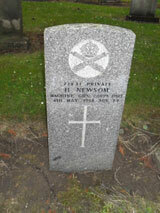 Died at home 4 May 1918. Aged 24. Private Thomas Henry Oldfield. 12276. 7th Battalion the Yorkshire Regiment. 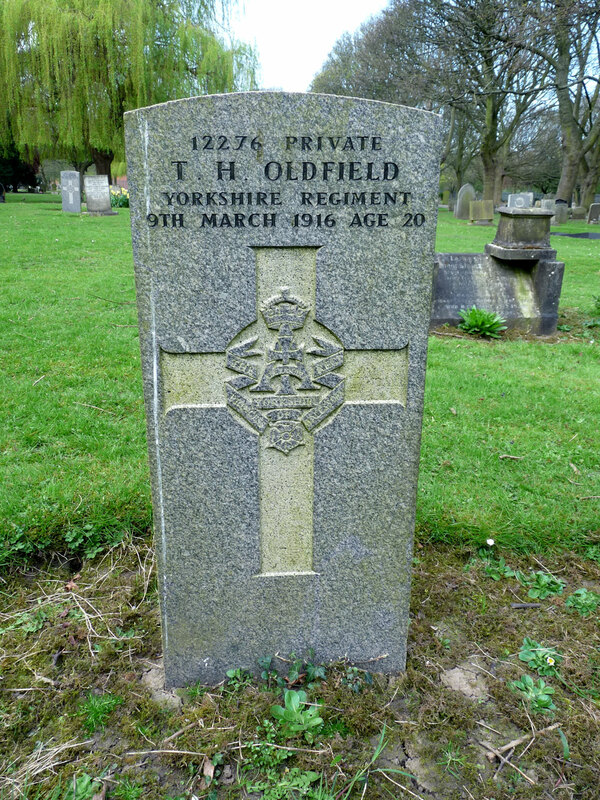 Son of George and Caroline Oldfield, of 27, Hedon Rd., Hull. Died at home 9 March 1916. Aged 20. 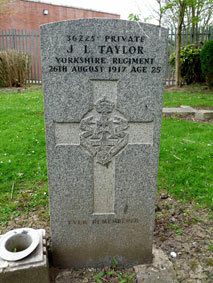 Private John Lawrence Taylor. 36225. 9th Battalion the Yorkshire Regiment,formerly 3/19473 East Yorks Regt. 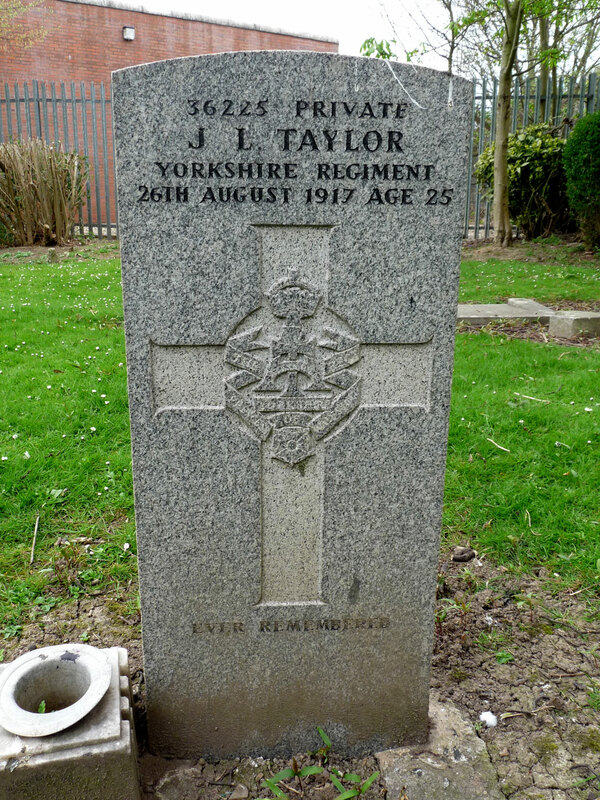 Son of John and Mary Jane Taylor, of 140, Severn St., Holderness Rd., Hull. Died at home 26 August 1917. Aged 25.